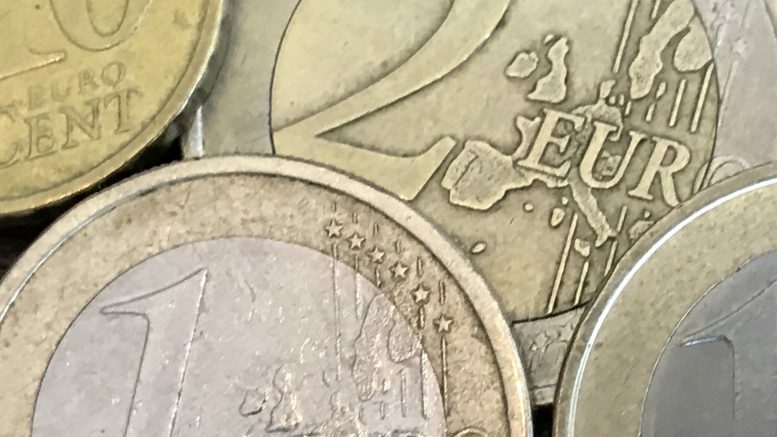 The euro lost ground on Wednesday amid dovish comments from the ECB, but the British pound was fairly steady despite the uptick in Brexit drama. Kathy Lien, managing director of foreign-exchange strategy at BK Asset Management, said on Wednesday that the pound had firmed despite the increased drama over Brexit. “Given the scale of the defeat, there’s no going back with small tweaks to the same deal. The March 29th Brexit deadline will need to be delayed,” she said in a note. “The EU has been pushing for reversing Brexit but they also seem amenable to making further offers on the backstop. Either way, GBP is up because the most likely outcome is a soft Brexit or no Brexit at all,” she added. But Lien noted that despite the optimism on a better Brexit outcome, the euro was down after the ECB issued dovish comments amid an economic slowdown on the continent. ECB chief Mario Draghi said on Wednesday that the continent wasn’t heading for a recession, but still needed the central bank’s support, Reuters reported. The U.S. dollar index, which measures the greenback against a basket of currencies, was at 96.08 at 7:05 A.M. SGT, after trading as high as 96.15 and as low as 95.8 on Wednesday, according to ICE data. The 10-year U.S. Treasury note yield was at 2.724 percent at 8:13 A.M. SGT after rising as high as 2.744 percent in Wednesday’s session, according to Tullett Prebon data. The euro/dollar was at 1.1398 at 8:17 A.M. SGT after trading in a 1.1376 to 1.1425 range on Wednesday, according to DZHI data. The British pound/dollar was at 1.2881 at 8:17 A.M. SGT after trading in a 1.2823 to 1.2897 range on Wednesday, according to DZHI data. The dollar/yen was at 109.023 at 8:17 A.M. SGT after trading in a 108.34 to 109.197 range on Wednesday, according to DZHI data. The dollar/yuan ended Wednesday at 6.7531 after trading in a 6.7513 to 6.7787 range during the session, according to DZHI data. The dollar/Singapore dollar was at 1.3544 at 8:18 A.M. SGT after trading in a 1.3532 to 1.3560 range on Wednesday, according to DZHI data. The dollar/Malaysian ringgit was at 4.1080 at 8:05 A.M. SGT after trading in a 4.1020 to 4.1150 range on Wednesday, according to DZHI data. The dollar/Indonesian rupiah was at 14,115 at Wednesday’s close after trading in a 14,080 to 14,155 range during the session, according to DZHI data.